Data on tone production is readily obtained, but the singer soon discovers that technical instruction amounts to little unless it is fortified by purity of style. The acquiring of traditional vocal style. The acquiring of traditional vocal style remains one of the chief problems of vocal mastery. 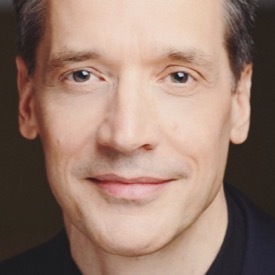 It is rare to encounter a person whose authoritative knowledge of tone production stems back directly to the founder of vocal science; who's traditions of art reach in an unbroken lone to the days of Mozart. Such a person is Mme. Anna Schoen-René, one of the world's foremost voice teachers, currently active in the Vocal Department of the Juilliard Graduate School, and private teacher of celebrated singers both here and abroad. Mme. 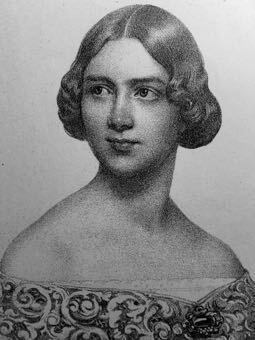 Schoen-René was a pupil of, and for many years associated with, Pauline Viardot-Garcia, one of the greatest authorities on the art of singing; and she specialized in the teaching of male voices with Manuel Garcia. The traditions she absorbed from them go further than upholding the best standards in art (an achievement in itself); actually, they set the standards which subsequently have guided the development of Bel Canto. 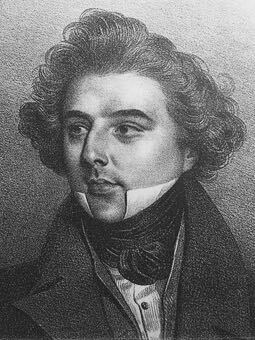 The principles of correct singing were first formulated by Don Manuel Garcia (father of Manuel, Pauline, and Maria Malibran), the most distinguished singer of the Romantic Epoch, who prepared his first operatic performances under Mozart's guidance. Don Manuel taught his three children singing which has come down through succeeding generations as Bel Canto. "My own great teachers often told me how their father came to formulate the knowledge of tone production which the son, Manuel García, was later to develop as the foundation of all good singing," says Mme. Schoen-René. "Manuel, the son, did not like to hear it called a 'method'—methods, he said, were patterns for shoemakers to follow! He preferred to think of his work as a scientific education in vocal art—which is exactly what it is. "Even in Don Manuel's time, it was common knowledge that the old Italians sang more beautifully than any other vocalists in the world. Purity of tone and evenness of line distinguished their performances, and with the Italian development of stringed instruments, this preeminence increased. Don Manuel, who possessed not only a magnificent voice but a great mind as well, determined to investigate the 'Italian tone' and to analyze the elements that made it outstanding. His researches indicated the basis for all good tone production consists of breathing, breath support, vocalization, and resonance. Manuel, the son, perfected the studies which his father had indicated, and he became perhaps the greatest voice teacher that the world has ever known. 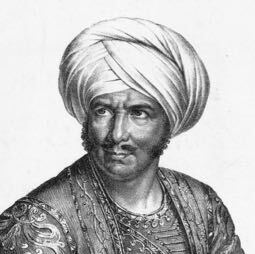 (In studying the scientific aspects of singing, he was the first to invent the laryngoscope.) Around him and his distinguished sister, Mme. Viardot-García, gathered a circle that included George Sand, Chopin, Heine, Schumann, Liszt, Meyerbeer, Lablache, and many others. Those who were fortunate enough to study with the Garcías have made a life work of keeping their traditions absorbed from such a source. The old Italians relied entirely upon the ear to guide them in tone production. Actually, the ear is still the best diagnostician in detecting tonal values—but the ear alone is not enough! The singer must understand the anatomical principles underlying their production; he must put these principles into practice, learning the sensations they cause. "In Manuel García's day it was considered revolutionary to hold that singing originated, not in the throat, but in the breath which serves as the connecting support between the body and the tone. The old Italians relied entirely upon the ear to guide them in tone production. Actually, the ear is still the best diagnostician in detecting tonal values—but the ear alone is not enough! The singer must understand the anatomical principles underlying their production; he must put these principles into practice, learning the sensations they cause. "The García principles of singing—better, the only correct principles of singing as laid down by García—begin with breath and breath control. The breath must be full, deep, low-taken, It must be supported by the strong abdominal muscles. Practice in correct breathing should precede all exercises in singing. When the breath has been properly taken, the singer must learn to send it in a steady flow against the diaphragm, through the entire respiratory tract, towards the vocal cords, the vibrations of which produces tone. Tone is supported by the long column of breath; it 'sits upon it.' If the flow of breath is unsteady, the resulting tone becomes unsteady. Next in importance to the control and support of breath is its resonance. Tone must be resonated entirely from the face—never in the throat, never in the nasal passages. Defective tone and loss of range result from incorrect resonance. The tone should be sent into the cavities bounded by the cheek bones, and allowed to vibrate freely there. Manuel García stressed this freedom of tonal vibration, warning emphatically against constriction in the nose or in the throat. "Extremely vital to tone quality is vocalization. Tone cannot sound forth until it is fixed within the limits of some vowel or consonant. The most primitive cry is formed on some vowel sound. Complete singing requires the constant juxtaposition of vowels and consonants, purely vocalized. The singer should devote great care to formation of pure vowel sounds. This is especially important to English-speaking singers, because the English language has no pure vowels. English vowels tend to trail off into diphthongs. In ordinary English speech, an A becomes A-EE; and and I becomes A-I-EE; an O becomes O-DD. This is fatal to pure vocalization, and consequently, to pure tone. The trailing of the vowel into the diphthong causes a scooping, swooping approach which mars clean, precise tonal attack. Italian, German, and French contain pure vowels in ordinary speech, making pure vowel vocalization easier for those who project their tones naturally in terms of those language-sounds. All English-speaking singers must cultivate pure vowels as part of their vocal equipment. Purity of vocalizations is far more than a matter of good diction; it is the secret of pure singing. "The exercises prescribed by the Garcías (obtainable in their published manuals of vocalises, notably 'Une heure d'etude,' by Pauline Viardot-García) were always extremely simple and natural. They explored the voice with a the long, sustained tones of the grand scala, and perfected evenness in passing from one register to another, preparing the way for coloratura technic. The development of florid and flexible technic is advisable for every voice, high or low, male or female; but important as technical mastery is, it must always remain secondary to the production of pure tone itself. Fiorituri without a foundation of pure tone (like a roof without a house!) come crashing down to ruin. "One of the chief charms of the Garcías as teachers lay in the fact that their instruction was by no means confined to voice problems. Their culture was so wide that they did not need to 'specialize!' Singing, to them, was simply one very important aspect of that general cultural education without which no one can hope to understand or project art. Mme. Viardot examined all candidates who wished to study with her, and the examination began before they had sung a tone! The moment a candidate entered the room, Mme. Viardot noted his approach, his manners, his attitude, thus judging his bearing, his background. And, in their conversation, she judged his educational and esthetic equipment. Mme. Viardot never refused a gifted pupil because of lack of culture or breeding, but those who revealed the lack were immediately trained in that respect. Mme. Viardot held deportment to be of vital importance in the building of a complete artistic personality, which, of course, it is! She exacted obedience from her pupils and imposed rigorous discipline upon them; never in the sense of dominating them, but in order to help them acquire that self-discipline which is the foundation of all art. As part of our singing courses, we were required to read the great classics, to acquaint ourselves with Titian and Rembrandt in the museums, to observe models of acting in the theatres. The goal of her tuition was no 'specialization' in tones and roles, but the formation of complete self-expression and self-control. "I often think back to those teachings to-day when, regrettably, a wholly mistaken concept of freedom tends to undermine our regard for discipline, authority, respect, control. Perhaps the most valuable precept we can give our students is that freedom comes only as a result of self-control. Freedom is not a lack of discipline; it consists, rather, in controlling one's self so effectively that discipline from the outside world becomes less necessary. Self-discipline makes a great career for the individual singer. "Voice study is as valuable for composers as for singers. The unsurpassed melodic line of Bach and Mozart results from their familiarity with the possibilities of the human voice. Many modern songs, alas, reveal that their composers lack such knowledge. Their skipping, shifting intervals cannot be encompassed in a pure vocal line; and consequently they remain worthless as practical music. The composer who would write for the voice must understand its scope, its uses, its limitations. Liszt once sent a highly interesting young man to Mme. Viardot of her advice. Liszt believed the youth to be 'full of music,' but was undecided whether to encourage him in a pianist's career. Mme. Viardot was delighted with the young man's gifts, and employed him as an accompanist and later as a coach to her pupils, in Baden-Baden. In this way she came to hear some of his own compositions. He name was Johannes Brahms! Undoubtedly, this early acquaintance with the principles of vocal technic helped shape the exquisite line of Brahms' songs. Our own young composers would do well to follow his example. Then, perhaps, we should find new vitality in our modern song material." Mme. Schoen-René is currently arranging of the publication of her memoirs, which begin with her student years in the late 1880's and continue through her activities as a teacher in Europe and America, where she has prepared many of the younger members of the Metropolitan Opera. After passing her state examinations at the Royal Academy of Music, in Berlin, she was granted royal fellowship to study voice and vocal pedagogy with Mme. 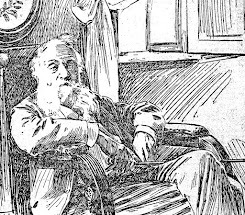 Viardot-García, in Paris. Later she came to the United States to become a member of the Metropolitan Opera Company. However, the excessive work of preparing for her own career, while mastering the pedagogical aspects of singing, led to a severe breakdown. To win back her health, Mme. Schoen-René went to visit her sister, then Exchange Professor of Languages at the University of Minnesota. While residing there, Mme. Schoen-René undertook to organize the Department of Music at that University, founding glee clubs, giving lectures, and inviting notable artists to visit. Also, she founded the first symphony orchestra in the American Northwest. She has contributed much to American musical life, and believes American students to be among the most highly gifted in the world. —Stephen West. "The Traditions of Fine Singing: An Interview with Mme. Anna E. Schoen-René," The Etude, November 1941. 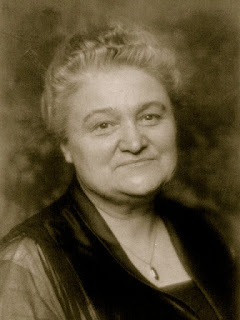 Anna E. Schoen-René (1864-1941) was one of the last direct representatives of Pauline Viardot-Garcia and Manuel Garcia. She taught in America and Europe before becoming a professor of singing at The Juilliard School, where she taught from 1925 to 1942. He students included many well-known singers, among them: Putnam Griswold, Florencio Constantino, Sonia Essen, Mack Harrell, Florence Easton, Margaret Harshaw, Risë Stevens, Lillian Blauvelt, Karin Branzell, Charles Kullman, Thelma Votipka, George Meader, Paul Robeson, Eva Gauthier, Lanny Ross, and George Britton. As far as I have been able to ascertain, the interview above with Schoen-Rene is the only one given during her life-time that includes anything remotely related to vocal technique. It appeared the same year her memoir America's Musical Inheritance was published. She died a year later. One of the more interesting things contained in the article is Schoen-René's assertion that the student must not only judge tones after they have been produced, but must “understand the anatomical principles underlying their production and the sensations they cause." Schoen-René also asserts that the voice must be resonated from the face, and vibrate freely there. 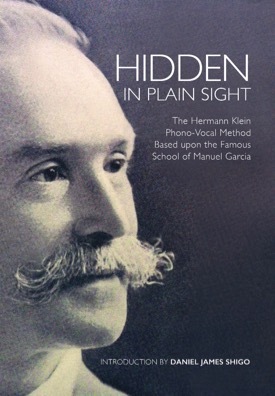 This is the concept of voice placement, and is addressed in my little book: Hidden in Plain Sight: The Hermann Klein Phono-Vocal Method Based upon the Famous School of Manuel Garcia. The article above originally appeared here at VoiceTalk on August 27, 2010. However, after Blogger changed its formatting, the original document was no longer easily accessed. Hence, I have reproduced the article as well as the content from the original post.